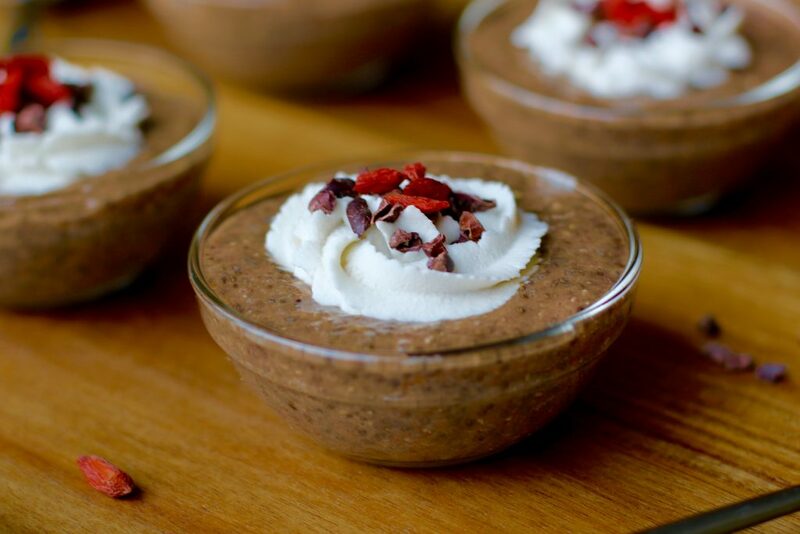 Looking for a healthy way to satisfy your chocolate craving without all the guilt? Here you have it! A simple, nutritionally packed, mouthwatering delight that will not only satiate your taste buds, but can also replenish depleted nutrients when working out and keep you feeling fuller longer. We are home from California and settling right back into the grind. My Uber job resumes and driving my boys to all their activities fill up my day. Memories of sunny California with my best friend are what breaks up the monotony right now. Planning a fun night out every week with my man is a must. 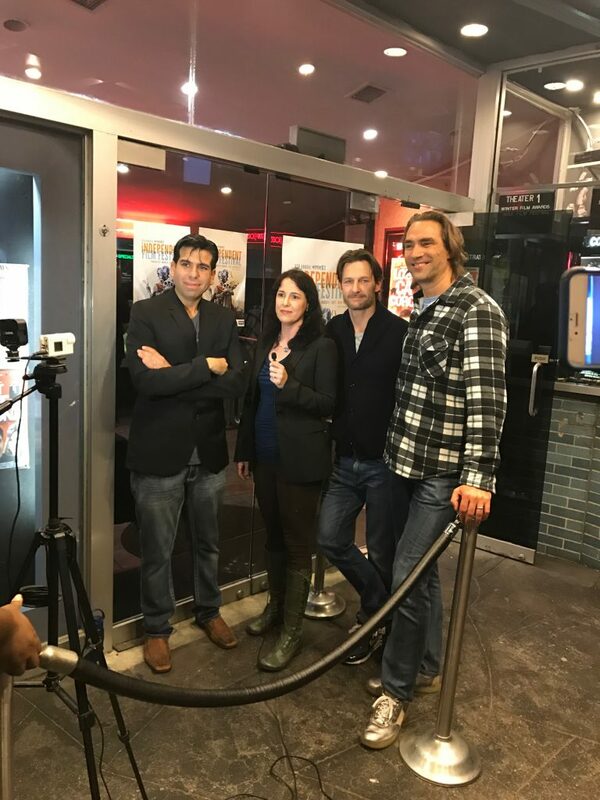 You know I love a good laugh and it just so happened our dear friend Josh Burrow is in a film that is witty, smart, and hilarious called, “Shoot Me Nicely” starring Linda Hamilton, William Thomas Sadler, John Belhmann, and Lukas Hassel. 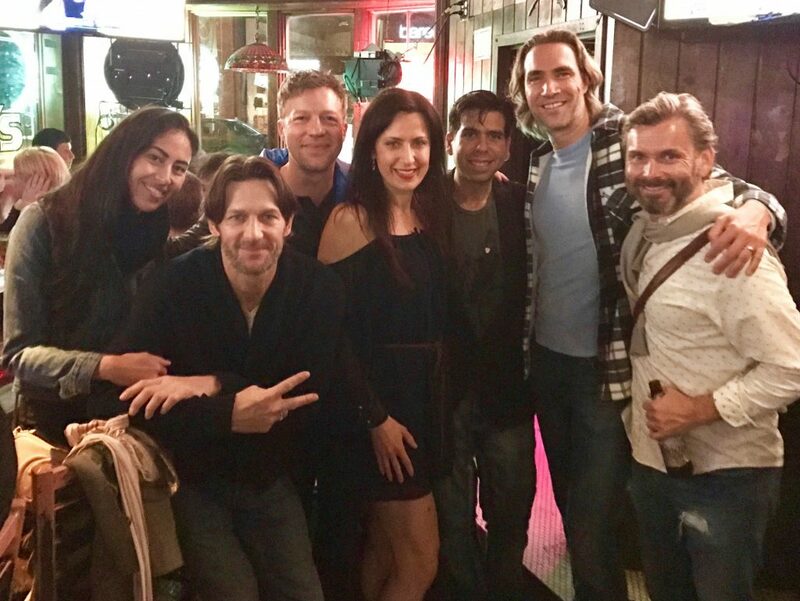 We had a great time celebrating with the cast on their success. Now it is time to cook! 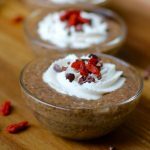 When Kid 2 approached me and asked me to make pudding, I knew I had a bit of work to do since traditional pudding typically contains dairy, corn starch, and refined sugar… everything we avoid in my home for several reasons. DAIRY – is an inflammatory ingredient, can cause digestive problems, high in cholesterol and saturated fat, contributes to weight gain, and 3/4 of the world is intolerant to lactose found in dairy. CORN STARCH – is genetically modified, it is considerably high in calories and contains almost no appreciable content of vitamins, minerals and protein. REFINED SUGAR – high in calories with no essential nutrients. 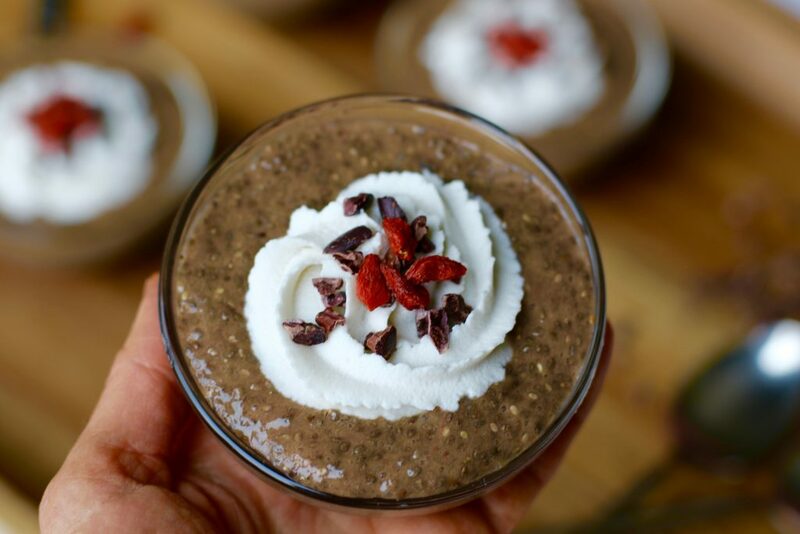 My obsession for adding chia seeds to my recipes is not only fueled by the rewarding reaction from my kids when they take their first bite, but also the high nutritional content found in this small yet versatile seed. 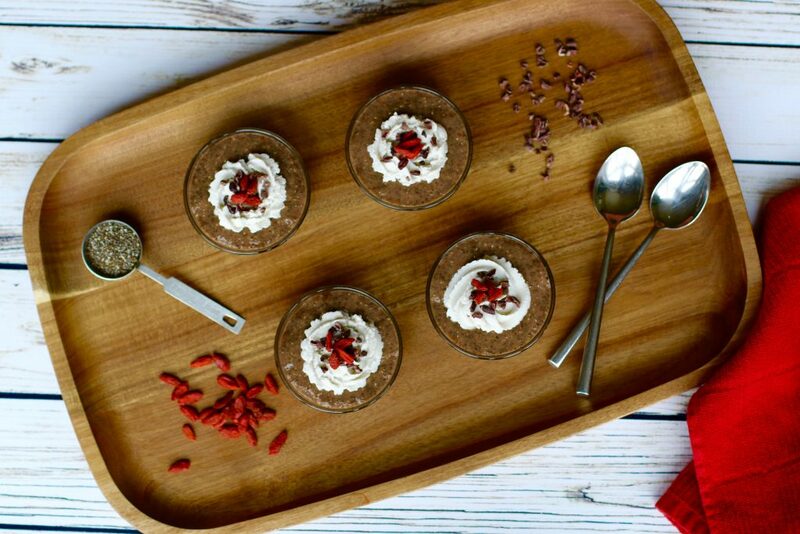 Did you know that this protein packed and nutritionally dense seed can improve your energy and endurance making it a great snack for athletes? High in dietary fibers which is essential in balancing insulin levels for your body, regulate your bowels, help you feel fuller longer which curbs hunger and suppresses your appetite. A great snack if you are trying to lose a few pounds! A recent study published in the Journal of Strength and Conditioning revealed that runners who consumed half gatorade and half chia seeds drink were able to perform just as well as those who drank 100% of this sugar-laden sports drink, but with far less of the added sugar and dyes. They are also loaded with several antioxidants which not only make it a fantastic way to replenishing the nutrients lost after exercising, but they can also help in skin repair and can aid in preventing further damage. By just adding some liquid to this seed it miraculously transforms the consistency to a jelly-like texture and binding agent making it a great substitute for eggs. Since Kid 1 is sensitive to eggs, I use this lovely seed as a replacement in several of my recipes. 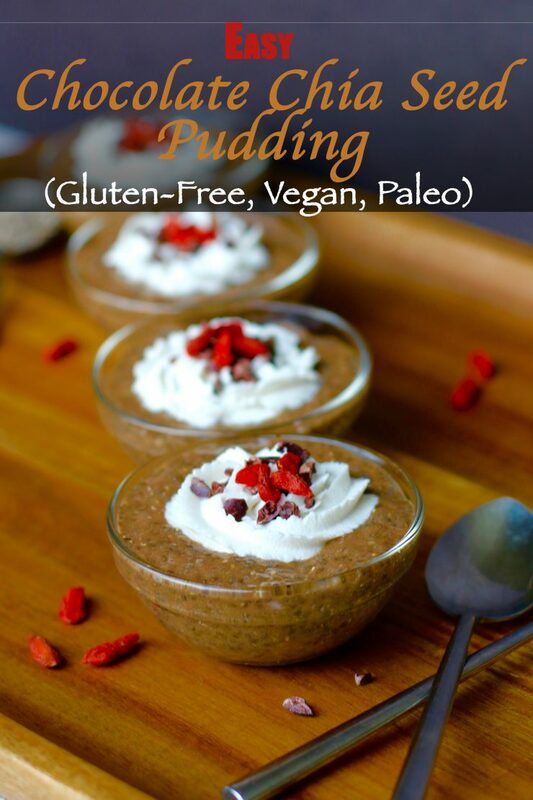 This pudding is just what you are looking for if you want fuel up with a nutritious tasty treat. 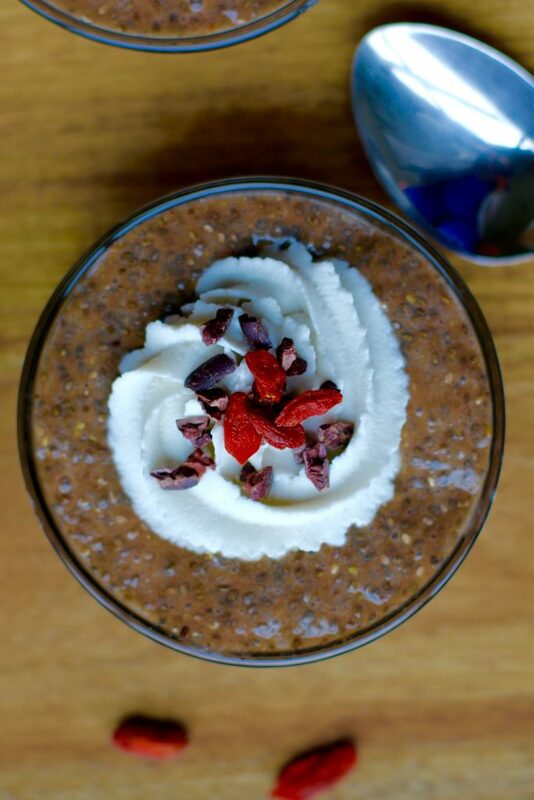 Chia seeds are known to be loaded with vitamins and nutrients which can improve your healthy in several ways! Combine all the ingredients in a bowl and mix until well combined. I added all the ingredients in a canning jar and shock it. You can also use a blender. Place mixture into the refrigerator for at least 4 hours or overnight. 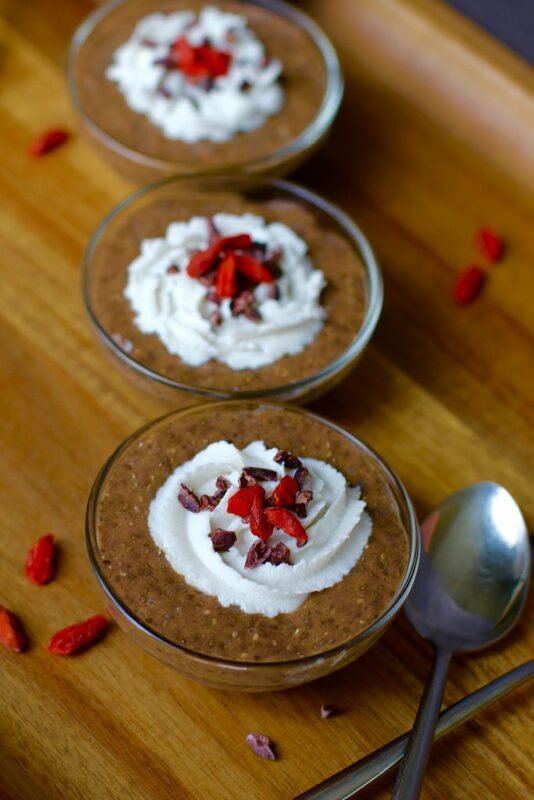 Once the chia seeds absorb the milk and become a jelly-like consistency add the toppings and enjoy. 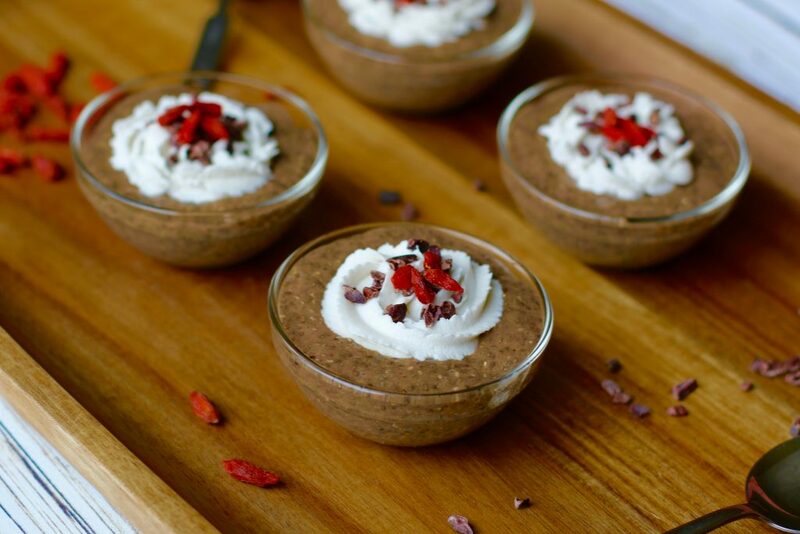 Do you ever try chia seed pudding? Thank you! It tastes great!